From time to time licensees may find themselves facing an adverse decision in an application for a liquor license, or some type of compliance action, such as receiving an on-the-spot fine, prosecution or disciplinary action from the Office of Liquor & Gaming Regulation (OLGR). Queensland legislation allows OLGR to increase your annual license fee based on compliance history, which can increase fees anywhere from $5,000 to $20,000 in the following financial year. It has never been more important for licensees to ensure compliance and licensing decisions are appropriate in the circumstances and do not impose additional ongoing fees and penalties on the licensee. BARS Consultants has extensive knowledge and experience to assist licensees in making formal representation to OLGR, Queensland Police Service and the Office of Fair Trading. Our Director, Garry Oliver was the Queensland Licensing Sergeant for the last 9 years of his police service coordinating up to 7 agencies specialising in the development and maintenance of harm reduction. Garry was the original founder of the Liquor Enforcement and Proactive Strategies (LEAPS) process that forms a part of the Brisbane City 17 Point Safety Action Plan, now the primary enforcement strategies of the Queensland Police Service implemented state-wide. The Queensland security industry has recently come under enormous scrutiny from the authorities with allegations about industry links with criminal organisations. There has been unprecedented action taken against security providers which is expected to increase with the Government introduction of a covert joint task force. Security firms and individual security providers are being show caused on scant information which, without challenge, can lead to loss of license , unemployment and financial hardship. As the sole Queensland Director of the Security Providers Association of Australia (SPAAL), Garry is attending regular meetings with the Office of Fair Trading and whilst his position does not grant him "favours", it does give him a unique insight into the workings of this regulatory authority. Also, as the owner operator of BARS Protection Service, Garry has the knowledge of the industry and the expertise to make a case where a case can be made. It's true that Bars Consultants is NOT a law firm and therefore we do not represent clients in a court of law. However, we can provide expert advice and referral to a network of experienced law firms if required. 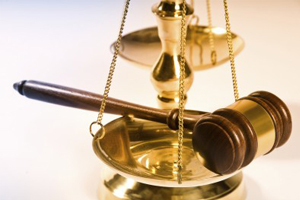 Our strategy is to avoid the expense of legal representation by mediation, negotiating a better outcome, such as having on-the-spot fines withdrawn, having show cause notices resolved in the clients favour, having prosecutions changed to an on-the-spot fine or preventing future disciplinary action through the introduction of immediate remedial action. Please feel free to give us a call or email us to discuss our competitive fees.